Imagine this scenario – you’re in a big reception hall full of high-end food and drink, with nearly 40 different restaurants accounted for, and there are no limits on how much you can consume. It’s not some fantasy or dream scenario – it really happened last Thursday, and it was called the Taste of New Hampshire. 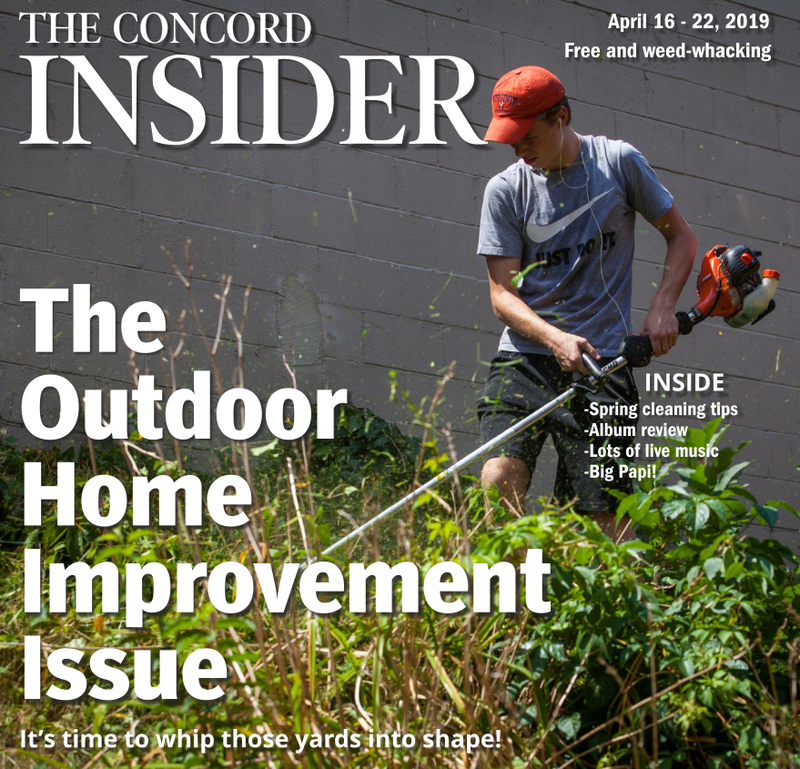 As we previewed last week, the Taste of New Hampshire is one of the best, Insidery events the city has. 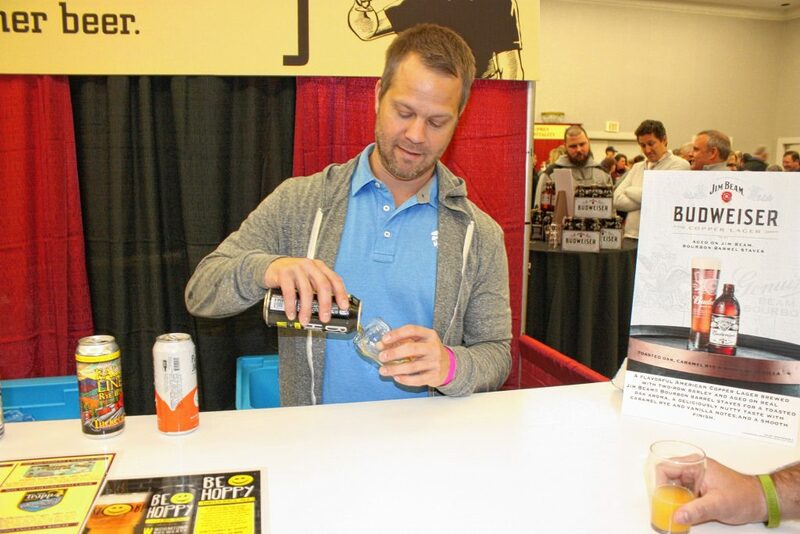 The Grappone Conference Center hosted 39 restaurants and food-related businesses in a big showcase of the best eats and drinks the state – but mostly the Concord area – has to offer. 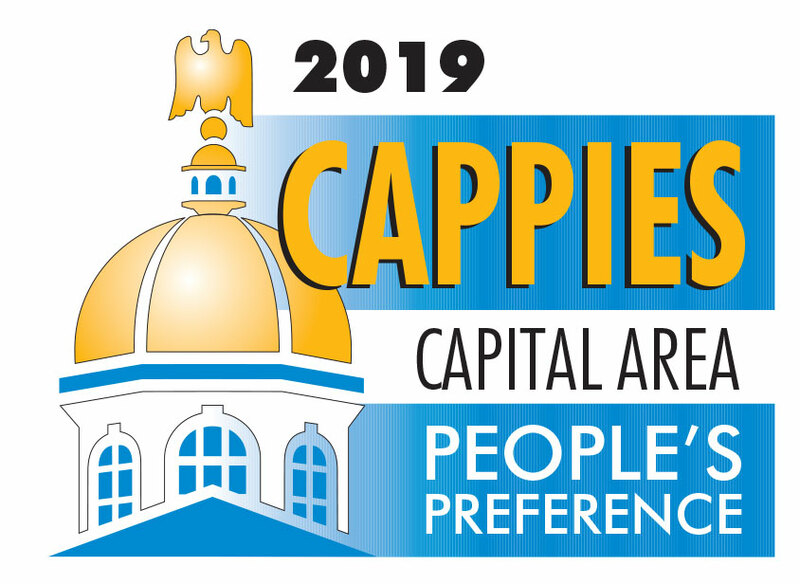 The Boys & Girls Clubs of Central New Hampshire was kind enough to hook me up with a ticket to the event, so you better believe I wasn’t going to miss this opportunity. I showed up to the main lobby of the Courtyard Marriott, not knowing where the conference center was, and as soon as I walked in I could smell the amazingness wafting through the corridor. Once I made my way to the right room, it was an embarrassment of riches in terms of food. Lining every wall of the place were tables serving everything from sliders to pasta to seafood to sweets to meats and everything in between. It was hard to concentrate, honestly, but I battled through and made my way around the room. The first thing I tried was some brisket from Smokeshow Barbeque. Served on a little slice of bread, this was a delightful two bites. The beef was super tender and smoky, and there was some sort of savory cream sauce underneath the meat that balanced it out. The bread was very crunchy, which spiced up the texture. Next was some pulled pork mac ‘n’ cheese from O Steaks & Seafood. Similar to Smokeshow’s offering, this snack featured very tender, smoky pulled pork and creamy, rich macaroni and cheese. The cheese tasted really fresh and real – clearly not the powdered mix made famous by Kraft. For a change of pace, I next tried some chili from Red Arrow Diner. They called it sweet to mild chili, and it was exactly that. There was some subtle sweetness there that evened out the minor presence of spice, and the key feature was the little bits of onion that really added some textural and flavorful pop. Continuing on, I stopped at the table for the 19th Hole at Beaver Meadow, which was serving braised beef tip sliders made with Stoneface IPA-ginger demi and served on a brioche bun with sriracha slaw. That’s a mouthful to say, but was a a delicious mouthful to eat, too. There was a slight hint of IPA, which was interesting and tasty, and the slaw added a bit of pleasant crunch. New England’s Tap House Grille in Hooksett had some fancy meatballs that I couldn’t pass up. 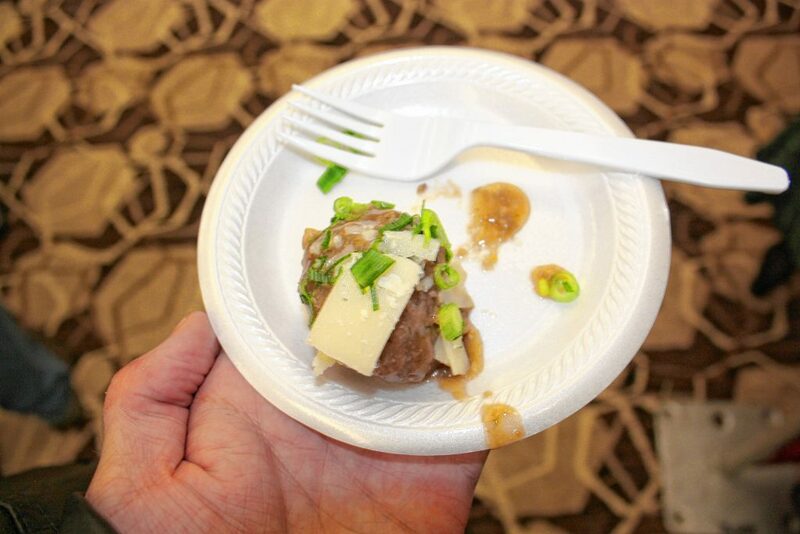 They were Jack Daniel’s single-barrel meatballs, and they were savory, earthy and hot. The green onion slices really made the dish, adding some fresh spice and some crunch to the otherwise soft meatball. Next was lobster sliders from Newick’s Lobster House. Pretty straightforward – these were great little lobster sandwiches that didn’t skimp on the meat. 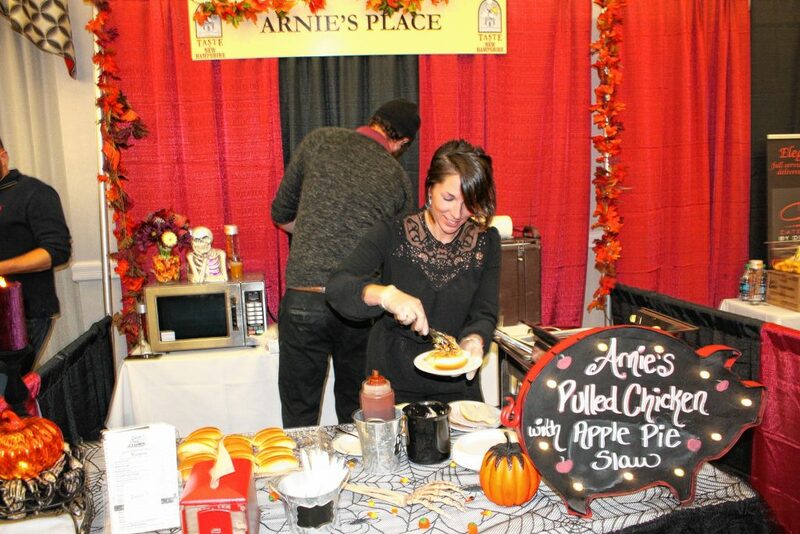 Arnie’s Place was in the house serving pulled chicken with apple pie slaw. 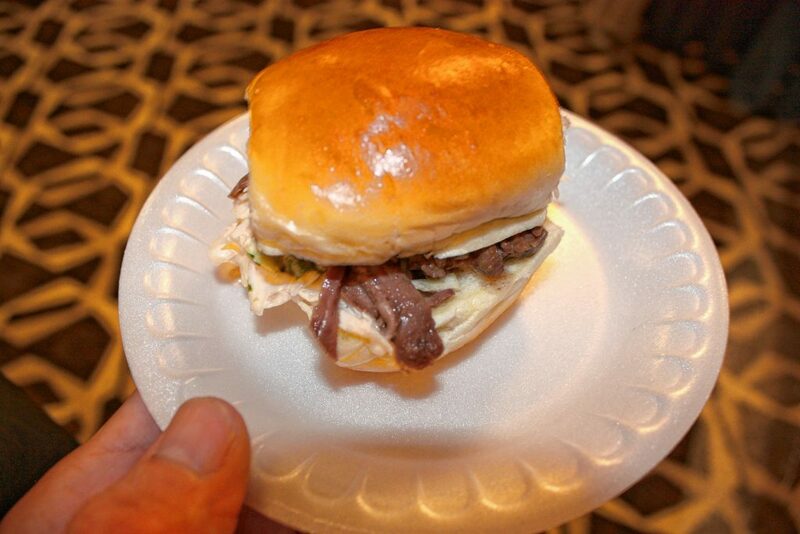 This was a creative, sweet mini sandwich that almost had a tropical feel. It really hit the spot and was a nice change of pace from the other things I’d tried. Finally, I got a pour of Be Hoppy IPA from Wormtown Brewery in Worcester, Mass. This was a bright, crisp, extra-hoppy IPA that was perfect for washing down the smorgasbord I’d devoured over the previous hour. I’d recommend trying everything I just listed here. You owe it to yourself.